Finnabair: Girly Grunge and Classes Updates! Girly Grunge and Classes Updates! Hi again my creative souls! Isn't it just great when everything just comes together? Not long ago I showed you a journal which I made during my visit to Khabarovsk, Russia... well, the story didn't end there! I was inspired by the delicate color palette, the softness and this "girly grunge" feel to it - so I decided to turn it into a new class and call it "Haze and Shine"... Not a bad idea, I think, as I can feel it may be my next favorite! 2 weeks ago "Haze and Shine" had its big "premiere" during Applied Creativity Event in Coventry. I have to tell you - the talent of my students, their kindness and great friendliness made this weekend a very special time to remember! We had the best time and I loved it despite the fact I was in a really poor condition fighting a nasty cold (if I gave it to anybody - my deepest apologies!). Here is one of the projects I completed in the classroom that weekend. 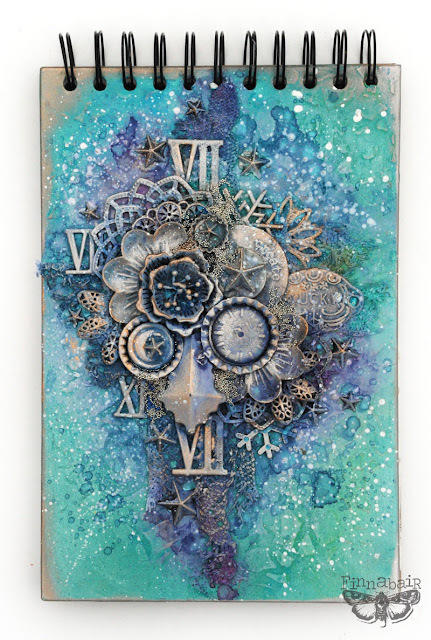 I love this color combination - the delicate tones of Art Alchemy Impasto Paints used to paint the background go perfectly with the touches of spray and white splatters... almost like a snowstorm or a sky full of stars! Finally, we are looking at the cluster of embellishments: nice selection of acrylic, plastic and metal trinkets. 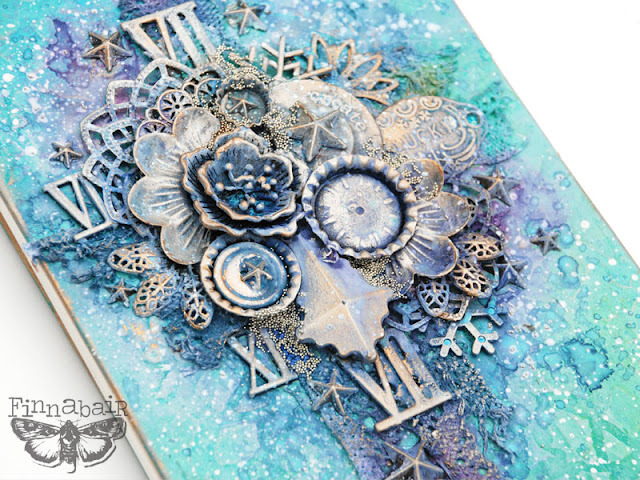 Can you spot my new "Snowflakes" Mechanicals used on this cover? Last touches were made with some Micro Beads from my Art Ingredients line and of course my favorite medium released this year - Metallique Waxes. 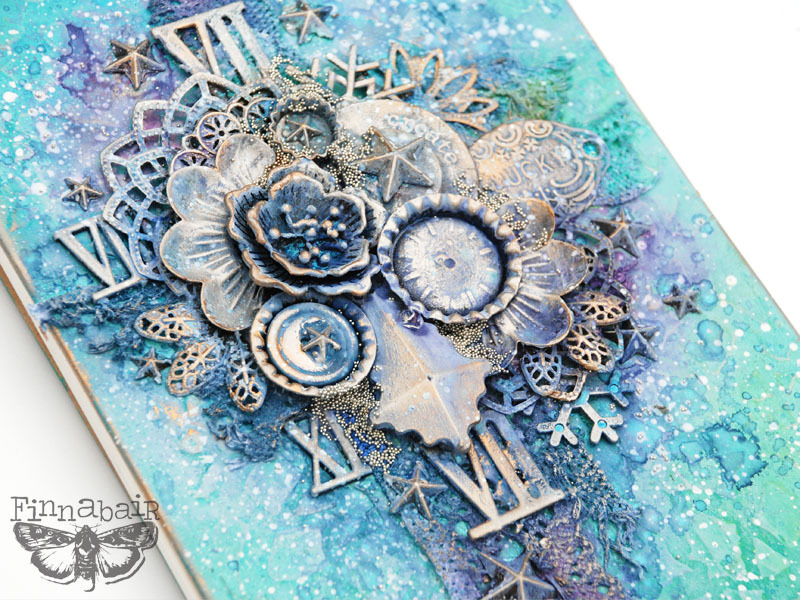 I absolutely love this combination of textures and tones! Would you like to try to make similar project too? Or maybe you are wondering where you can see me during the next 6 months? I have some classes updates for you - check it out! First of all - my USA Tour in July-August is coming! There is still time to book your seats, but don't wait until last minute as we have to place orders in advance to get the supplies for your kits! 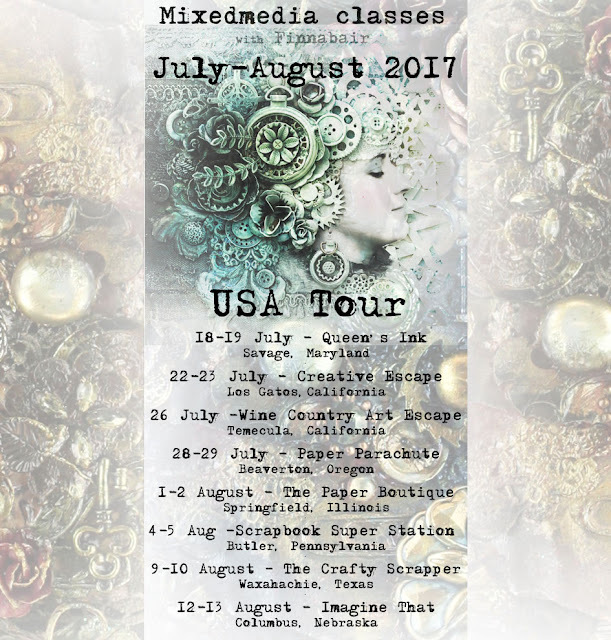 18 - 19 July 2017 - Queen's Ink, MD - bookings here! 22 - 23 July 2017 - Creative Escape, CA - bookings here! 26 July 2017 - Wine Country art Escape - Temecula, CA - bookings here! 28-29 July 2017 - Paper Parachute, OR - bookings here! 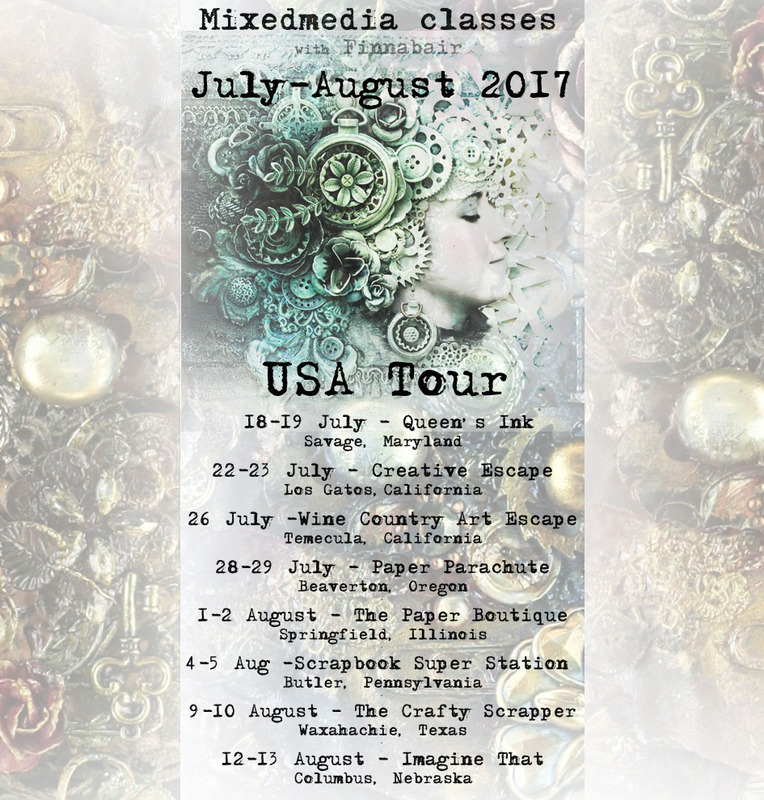 1 - 2 August 2017 - The Paper Boutique, IL - bookings here! 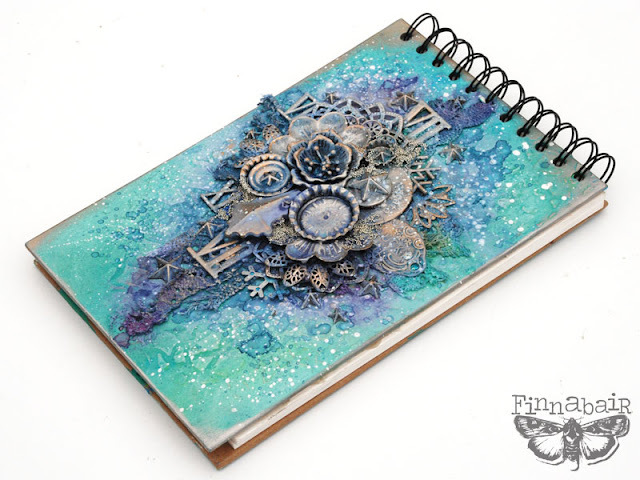 4 - 5 August 2017 - Scrapbook Super Station, PA - bookings here! 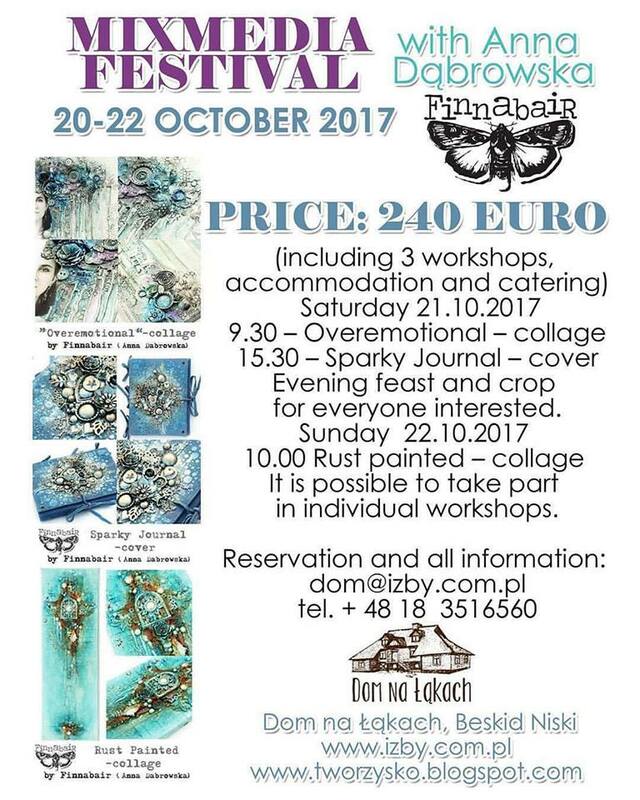 12-13 August 2017 - Imagine That, NE - bookings here! I'm back on the road after a short break in September - check out the dates and places, many of them are open for bookings already! 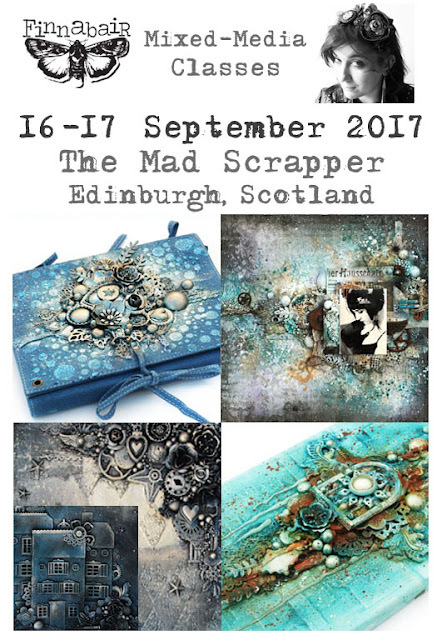 16-17 September 2017 - The Mad Scrapper, Edinburgh, UK - bookings here! 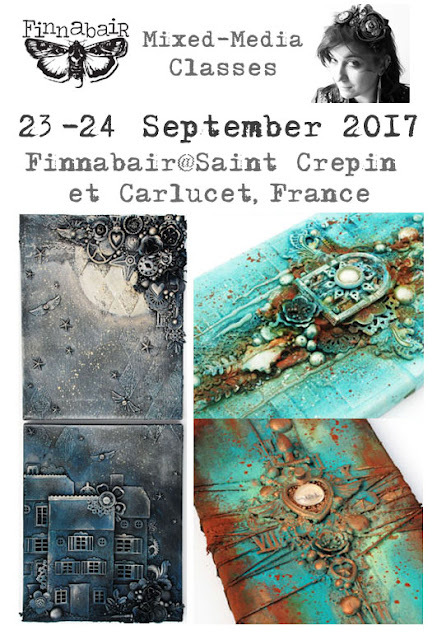 23-24 September 2017 - Ed'eve Créations in Sarlat, France- bookings here! 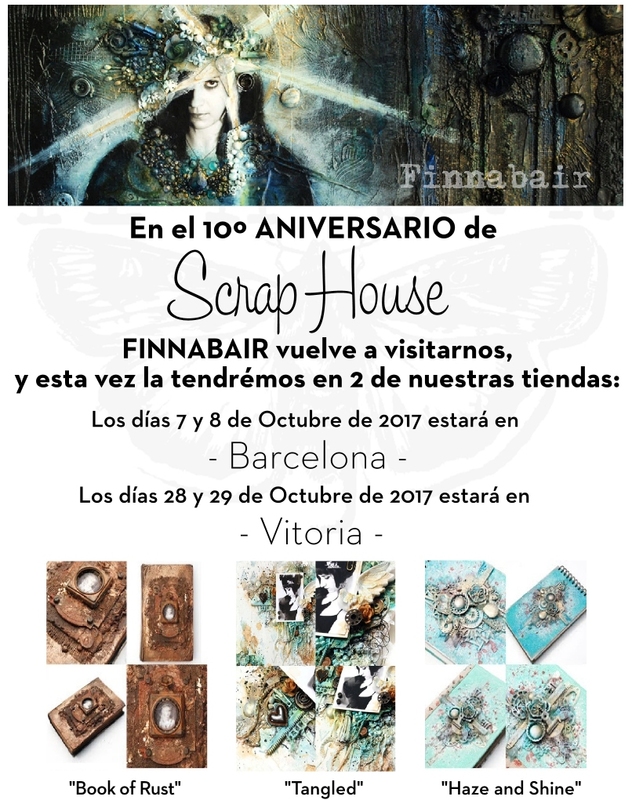 7-8 October 2017 - Scraphouse, Barcelona, Spain - bookings here! 28-29 October 2017 - Scraphouse, Vitoria, Spain - bookings here! 21-22 October 2017 - Dom na Łąkach, Poland - bookings here! But wait, there is more - details soon! 9-11 January 2018 - Donna Downey Studios, Huntersville, NC, USA - last seats here! 14-15 January 2018 - Art Venture - Phoenix, AZ, USA - bookings here! We would love to see you too. Should I organize some leads for you to encourage you??? I'll help you get here just for the pleasure of your Teachings... Master.